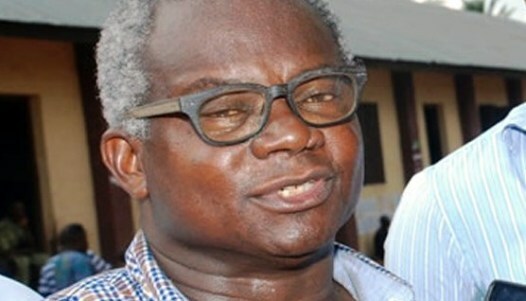 The Director-General of Voice of Nigeria (VON), Chief Osita Okechukwu, has urged Ndigbo ( igbos) to add millions of vote to President Muhammadu Buhari’s 12 million vote-bank. “Ndigbo should strive to give President Buhari nothing less than five million block votes, that is a reasonable target for a performing President”, Okechukwu told the News Agency of Nigeria (NAN) in Enugu on Monday. Obasanjo was qouted to have said that “it is dangerous for Ndigbo to take All Progressives Congress (APC) government serious over the promise of 2023 Nigeria president of Igbo extraction’’. “Let me thank our elder statesman, Chief Olusegun Obasanjo, for first and most importantly urging Nigerians to give Ndigbo a chance,” he said. VON boss also commended the ex-,president for recognising the fact that out of the three major ethnic nationalities only Ndigbo had not occupied Aso Presidential Villa. “This being the case, he should give us a break; 2023 is our turn to produce president, for equity, natural justice and good conscience hinted by Obasanjo is to our advantage. “The only reinforcement Ndigbo need to compliment this immeasurable equity, natural justice and good conscience is to vote for President Muhammadu Buhari, GCFR. “Voting massively for Buhari will elicit support from his followership of over 12 million voting Nigerians. “Buhari I know will not embark on 3rd Term like Obasanjo. The truism is that, Buhari’s remaining four years post 2019 is cast in constitutional stone. ” This is unlike Atiku’s own which is at best a pledge, hence creates fluid 8 years for Obi and by extension Ndigbo. “How come he didn’t handpick Obi to be Vice President in 2007, after embarking on the 3rd term wild goose chase, when he hurriedly settled for former President Goodluck Jonathan. On the impression that Buhari doesn’t like Ndigbo, Okechukwu said that it was an erroneous impression, stoked by ethnic merchants and vile propagandists. “Remember that Buhari chose two of our brothers.as vice presidential candidates, Dr Chuba Okadigbo and Edwin Umezoke in 2003 and 2007 respectively. “And if Ndigbo had voted for him in any of the two elections, he could have won. ” This is because Buhari had a treasured Vote-Bank of over 12 million votes, reflected in all his presidential elections – 2003, 2007, 2011, 2015,’’ he said. “Let’s not allow our Yoruba brothers to beat Ndigbo to it again, this i suspect Obasanjo’s distraction is meant to achieve.